It takes more than wings! Birds evolved not only wings, but many other adaptations that make it possible to fly. Feathers provide insulation, waterproofing, and a lightweight means to become airborne. Birds have honeycombed or hollow bones, reducing body weight. And instead of weighty jawbones and teeth, birds evolved a light and serviceable beak made of keratin. Most birds consume energy-packed foods rich in calories – like seeds, fruits, and meat, which add as little as possible to a bird’s payload. And what they eat is processed rapidly, so they aren’t weighed down by waste. When a bird takes wing, it leaves most of us other creatures earthbound. Birds have evolved not only wings, but many other adaptations that make it possible to fly. First of all, feathers. 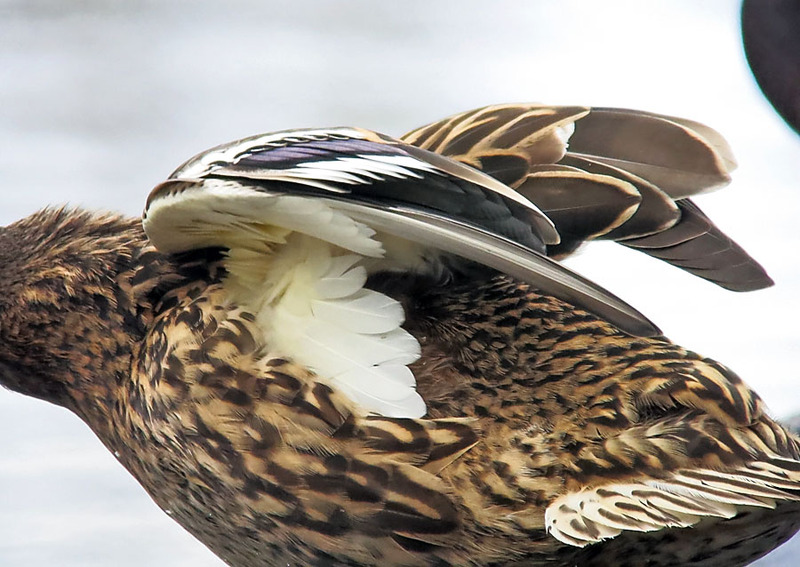 Feathers provide insulation, waterproofing, and a means to fly — and they’re extraordinarily lightweight. Other features also help minimize the pull of gravity, mostly by reducing body weight. Birds have very light, honeycombed or hollow bones. And instead of a weighty mouthful of jawbones and teeth —birds have evolved a supremely light and serviceable beak. What birds eat also helps them stay light for flight. Most consume energy-packed foods rich in calories – like seeds, fruits, and meat. These are foods that add as little as possible to a bird’s payload and deliver a lot of bang for the buck. And what birds eat is processed rapidly, so they aren’t weighed down by waste. All of these adaptations for flight — and a pair of wings, too. Bird sounds provided by The Macaulay Library of Natural Sounds at the Cornell Lab of Ornithology, Ithaca, New York. 40786 recorded by G.F. Budney, 107629 recorded by Todd A. Sanders, 63085 recorded by David S. Herr, 21090 recorded by Bruce Rideout, 3754 recorded by Arthur A. Allen and David G. Allen.